In the industrial world of construction, manufacturing, lab work and many more high-risk occupations, safety gear is no joke. The how much safety gear and how you choose to wear it makes a huge difference in the likelihood of an accident. While most of your work days will go by without a hitch, no one wants to be without their safety gear on the one day that something goes wrong. The right gear can be the difference between laughing off a mistake and winding up in the hospital or worse. However, one fairly upsetting statistic has come to light that often workplace injuries occur even if all the required safety gear was worn properly. Let’s look at eye injuries alone. Of all the workers who take eye damage each year from flying particles or chemical splashes, 40% were actually wearing their eyeglasses and of those, almost all of the injuries resulted from an object or chemical getting around or under the protective plastic shielding. What does that mean for workplace safety? While it’s true that workers in dangerous situations should absolutely wear safety glasses, it matters which ones you choose. Simple big plastic lenses are not always enough in situations where there are a lot of particles flying or chemicals being handled. The best solution we’ve found to this issue is foam lining. Safety glasses are designed in hundreds of different ways which makes sense because there are thousands of activities that might require safety glasses and not all of them need the same things from protective eyewear. Construction safety glasses, for instance, will be different from motorcycle safety glasses which will, in turn, be different from welding safety glasses. However, when you’re dealing with dangerous particle and chemicals, you need more than just sturdy wrap-around shades or auto-tinting lenses. You need sealed protection. The foam in foam-lined safety glasses is a lot like the rubber suction seal for goggles or swim masks. In fact, if you can’t find your foam lining, a swim mask might actually be safer in some circumstances. Why? Because the key to eye safety is not just putting a shield in front of the eyes but protecting them all the way around. Using foam lined safety glasses, nothing should be able to get ‘behind’ the lenses and into your eyes. The first kind of ‘foam lined’ safety glasses are very simple and don’t actually provide that much additional protection. Many ‘half-rim’ safety glasses with large eye shields that drop from the top bar also feature a foam strip between the top bar and your forehead. This makes perfect sense from a functional standpoint as the foam makes the glasses more comfortable and prevents sweat from getting into your eyes. However, they will not protect you from flying particles or chemical splashes. In this case, the foam only offers the additional protection of comfort and slip-resistance. The first of the protective foam variations makes your safety glasses a lot more like comfy swim goggles than any design you may be used to. Rather than a single eye shield or big clunky plastic safety glasses, some models fit much more snugly and have a strip of foam wrapping each lens. The foam is meant to lay directly against your skin in order to prevent anything unwarranted from flying up toward and into your eyes. The foam around each eye offers you an extra layer of protection and ensures that even if you need to adjust the nose or ear pieces, as long as the lenses sit properly over your eyes, the foam should seal out particles, chemicals, and even some harmful gasses that may be involved in your workplace. 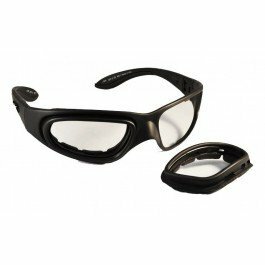 If you like swim goggles more than a diving mask, then you may also prefer safety glasses that wrap each eye individually in its own special foam protected cubby. However, if you like masks better or have found that this model puts too much mass distractingly between your eyes, then read on to the other form of foam lining. Many glasses have two separate lenses so the individual lining makes sense, but so too does the idea of lining the whole facial area at once. The second common configuration for foam lined safety glasses is the ‘mask’ configuration in which the foam crosses the top bar, wraps around the sides, and crosses again underneath the lenses to meet at the far temple bar. In other words, if you put ink on the foam and briefly put on the glasses, it would look like you’d outlined a bandit mask on yourself. This kind of foam lining is great for almost any task and tends to be a little more lightweight than the individual eye design. Essentially, the foam lining that wraps around your face ensures that no matter what kind of work environment you’re in, nothing should be able to get behind or around the protective surface area of your safety glasses. The foam also continues to make your safety glasses more comfortable with a soft padding between you and the hard plastic. For those of you who want one pair of safety glasses for every task, as is true of anyone who needs prescription safety glasses, it’s best to find a model that can do it all. Transition or clip-on shades are a great option as are interchangeable lenses but one of the most useful features is the ability to add or remove a foam insert. While the exact design changes from model to model, a foam insert is a uniquely shaped loop of foam that can fit into the back of your prescription safety glasses or pulled out for sweaty and not particularly dangerous work. As for jobsite managers and safety officers on the job, oddly enough style is one of those things that can really make a difference as to whether or not your team wears their safety gear correctly. When trying to change from the last standard of big plastic safety glasses to foam-lined ones for increased worksite safety, try to get a variety of styles or choose a single unified style that works well for your team. For anyone buying their own individual pair of safety glasses, there’s no need to settle for something clunky. There are hundreds of stylish foam-lined safety glasses available. Just try not to make your friends too jealous. If you wear prescription glasses, finding the right RX-ready safety glasses can be difficult, especially as you have an increasingly complex list of things your glasses need to have. A plan for the sun to shade transition, ANSI approved safety rating, frames that actually fit your face, and now foam lining. The good news is that there are plenty of options to choose from offered by several highly respected safety glasses manufacturers. All you need to do is get a current version of your prescription and do a little research. 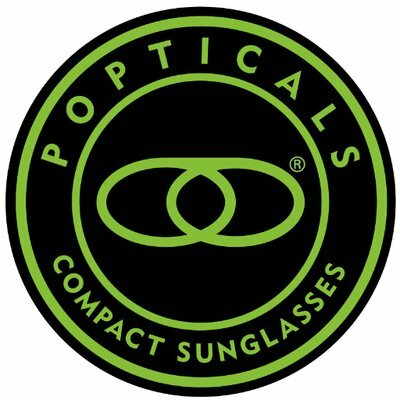 In no time at all, you’ll soon be selecting your favorite perks like anti-fog coating or UV protection for your extra-safe foam lined safety glasses. 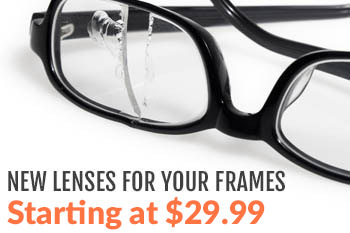 For more information on prescription safety glasses with foam lining, contact us today!